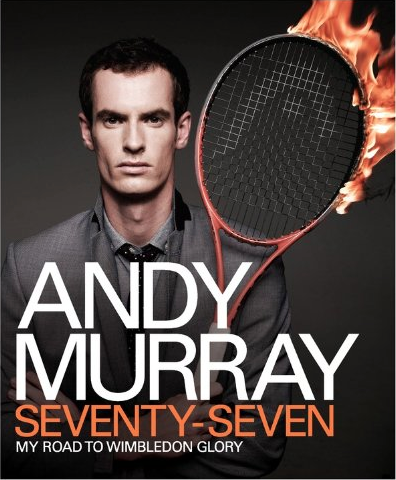 Murray nomination – Justyn Barnes Media Ltd.
Nice to hear Headline’s Sunday Times bestselling book, Seventy Seven, by 2013 Wimbledon champion Andy Murray, has been shortlisted for Illustrated Book of the Year in the 2014 British Sports Book Awards. I was the project editor on this book, working with a great team of people to an extremely tight deadline, and after a lot of stress and late nights we were all very pleased with the finished product. Looks like there is some stiff competition in this category, not least from my friends at Vision Sports Publishing, with their lavish official book on the 2013 Wimbledon Championships, and another handsome Headline book with the, er, handsome David Beckham (on which I had a small hand as a consultant). The winner shall be announced at the awards ceremony at Lord’s on Thursday 15 May for which I will be dusting off my black suit and tie.